Angry Birds is an award-winning strategy game for multiple platforms, but mostly known on iOS. This article pertains to the PC version, which makes more sense to use on a laptop. 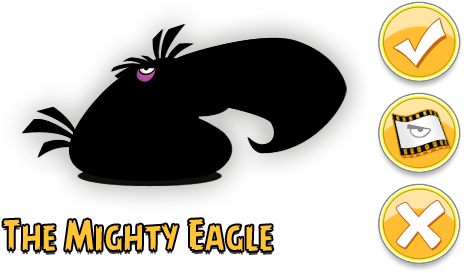 Even though the Mighty Eagle is exclusive to mobile devices, the graphics and sounds for it can be found. This suggests that this feature may have been planned at one point. At least Rovio has prepared us for it. This screen (found in "data\images\pc" of the game's directory) may be what will appear when the player first clicks on the Mighty Eagle icon. The roll of film with the Mighty Eagle's eye will most likely lead to the Birds & the Mighty Eagle video like most versions of the game. Notice that there's no icon to buy it (usually a shopping buggy), so the Mighty Eagle may be free to use. Most noticeably in this sheet is what appears to be the original name for the PC version, "Angry Birds HD". It was probably removed because the iPad version is called Angry Birds HD. The large feathers below it are the rankings that replace the stars when using the Mighty Eagle. For how much of the stage is destroyed by the Mighty Eagle, the black feather transitions to the colored feather by percentages. The small feathers on the right are for the menus. During level selection, the black feather is used for indicating a level with the Mighty Eagle used, which is under-layered by the colored feather, showing how much 'eagle score' is obtained. This can of sardines is how the Mighty Eagle gets summoned. Once the box is launched, it disappears and then the Mighty Eagle dives diagonally towards it, then bounces off the screen, destroying everything in its path. Any pigs are self-destructed if they survived. The Mighty Eagle entering and attacking once it appears. Note that these are supposed to be blurry, as it is blurry in-game. The Mighty Eagle bouncing once it hits the ground. The cartoon sound effect that plays right after the Mighty Eagle makes its battle cry. The Mighty Eagle's battle cry, which exists in two files: mightyeagle.wav and mighteagle.wav. The duplicate's existence appears to be a simple mistake. This image's name is "SHOP_NEW_ME_BG.png", so it might've been used in the store. There is an eagleDemo level in \data\levels. This might have been used as a power-up tutorial level in the mobile versions. This James Bond-esque remix of the title screen music can be found in the music directory with the name funky_theme.mp3. This can be legitimately obtained in the mobile versions by getting three stars on all the Mighty Hoax levels and finding the secret in the Golden Egg. 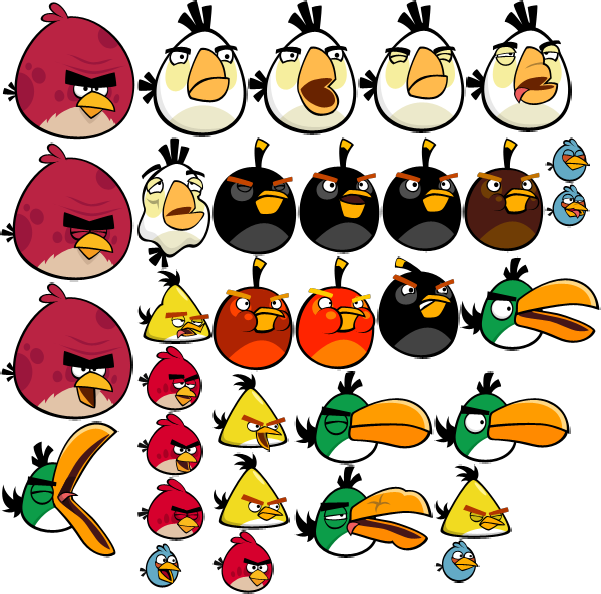 In one of the updates, the game's main theme was replaced with Angry Birds Trilogy's main theme to celebrate the chapter "Red's Mighty Feathers", where Red finally gets a chapter-exclusive ability. It was then reverted back to the original track. Check for sprites for the slot machine and other powerup-related sprites. 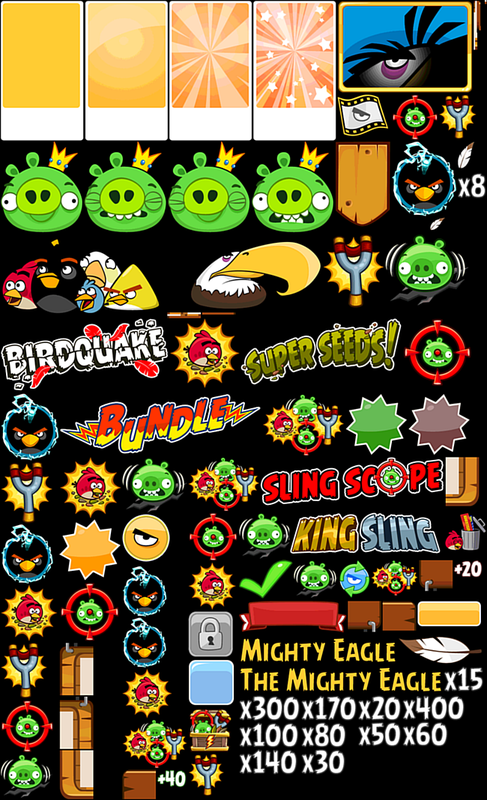 Icons for the powerups from Angry Birds Friends (aka Angry Birds Facebook), which includes the shop images, as well as some placeholder graphics. They can be found in one file. Like the Mighty Eagle, these features never came to this version. The sound used for when the player completes a level in the previous versions of Angry Birds. 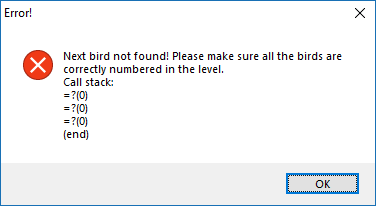 It was replaced with the ranking system from Angry Birds Rio, but the sound file still lays there as a leftover, It is only used when the player completes an episode. The music was used on the oldest version where the player completes the game. This was replaced by a ranking system from Angry Birds Rio and like above, this song was still in the current version files. Found in BUTTONS_SHEET_1.png, there is a hexagonal crystal icon. It is used in the iOS versions only. The "Play" button has been replaced with a simple round button with a play icon. 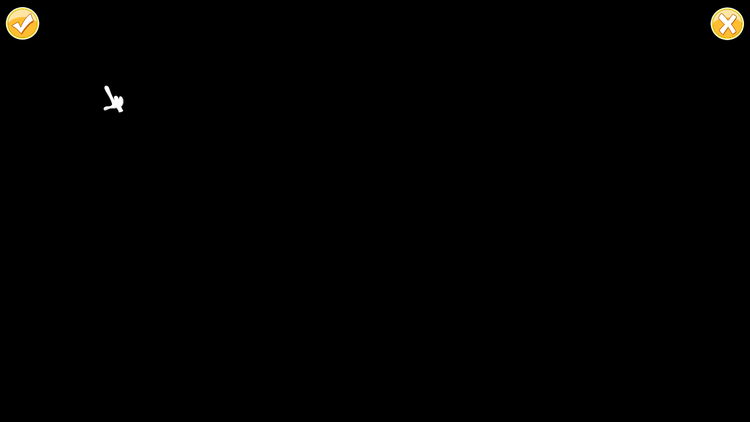 The left arrow button with a corner shadow might be intended for use in the level selection, but the one without the shadow was used. The ID card button icons were used only on the mobile versions, where you could save your progress online with a Rovio account. Ads never appear in the PC version. But in the mobile versions, you can purchase to remove ads. Hence, "Get the latest ad-free version!" button sprite was never used. Red tied with a ribbon, present in the iOS version as a button to share a free version of it. The crystal icon, again, but smaller. The trophy icon might have been for achievements, only present in iOS versions. The curved arrow icon and the curved arrow on 'level select' icon was never used in any versions. Might be intended as a return button. The blue button with hills will change the background to a static color, and will also remove all background images. This is only present in the mobile versions. This golden egg sprite has the Intel logo engraved in it. 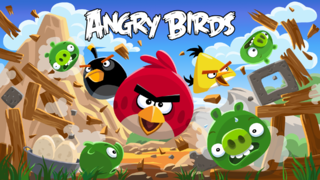 An Intel-themed Angry Birds game was made for promotion, with some of the levels appearing in the Android version of Angry Birds Seasons. Maybe it was planned to appear on this game too. While the first five birds (Red, Blues, Chuck, Bomb, Matilda) and Hal were used, their 'hurt' sprites were never used. Same for Bomb's exploding phases, wide-mouthed Hal and Terence. Sprite-sheet for the Bad Piggies promotion. This is supposed to be animated. This is present in the level editor that isn't present in the PC version. The mobile versions (v7.2.1+) use this icon. This pair of arrows were included in the birds and pigs' sprite-sheet, and are likely a leftover from the developer kit. It can be seen in this video at 4:25. Red's sprite when he uses his limited ability. In Chapter 9, Red gets a special ability. While it does show up in the tutorial screen, this never shows up when used. A rectangular bubble and its particle sprites are present in a bird sprite-sheet. As this sprite-sheet also contains Stella's sprites, it was most likely that she was intended to use this bubble too. However, only the normal bubble sprite was used, in three color variations. Some weird block sprites are present in the blocks sprite-sheet. The golden American football might be used for golden egg #22 as it was a Super Bowl surprise. But, as this egg didn't use any sprite to remain invisible to players, this sprite was never used. Two different types of terrain, a wooden stage, and an ice rink. Two bent planks, each painted with a different color. A brass tray. Never used. A sideways metal pole that might be for a sideways flag. An ice platform. It was used in Angry Birds Seasons as a static platform. "Golden" sprites of the first 6 chapters' level complete items, and also a King Pig. A golden item might be planned for each episode, but was scrapped for some reason. Also found in the same block sprite-sheet is a puzzle piece. It was not used at all as it didn't fit with any chapter's theme. 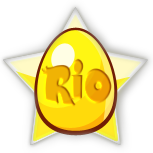 A sprite for a golden egg with a star, with the movie name Rio engraved on it. It appeared when you finish the golden egg #22 level, replacing the star. But, as the level complete screen was changed, this also got unused. In the game's asset directories, there are Lua files for debugging the game, some debugging code is also present in pre-existing Lua scripts not titled as debugging features, these are shown by the game's build settings in options.lua. Show the effects of these in-game. releaseBuild: Retail, clean build, turning off makes the game act like debugging build, enabling debugging functions and some screens have debugging information like the credits, true is defaulted, some include debugging information in the credits, using a developer activation server and allowing the use of using all developer cheats on beta builds. showEditor: Shows the level and particle editors at the main menu, false is defaulted, due to files aren't present the game (until 7.2.0 which never released on PC before discontinuation), it crashes among toggling this setting while checking data/scripts/editor for editor.lua... maybe files are present in an older version or the ones from current releases can be imported then this setting would be useful? cheatsEnabled: Allows use of built-in developer cheats, false is defaulted. useDynamicAssets: Makes the game use assets from the dynamic script directory, false is defaulted. isPremium: Makes the game acts like a "premium" version, ads are disabled, false is defaulted, has no effect on PCs due to absence of advertising and IAPs. isKorea: Makes the game act like a Korean build, false is defaulted. applyChinaRestictions: Makes the game act as a Chinese build, a timer is shown for game time left, false is defaulted. gameVersionNumber: Game version number shown in credits, changes after every update. customerString: OEM based on how the game was acquired, commonly "rovio". svnRevisionNumber: Server revision number in last credits line, the number starting with RXXXXX but isn't shown on PCs due to lack of online services support, however is shown if the game is a debugging build. isSeasonsAvailable: Makes the game advertise Angry Birds Seasons in menus? True is defaulted. g_registrationEnabled: Toggles the game activation DRM setting, true is defaulted. g_updateCheckEnabled: Toggles the game's autoupdater executable updater.exe setting, defaulted to true. g_hasWebBrowser: Makes the game think you have a web browser to view ads (? ), defaulted to true. bingIsEnabled: Allows Bing usage in game? disableShopButton: Hides the shop from the game, on is defaulted, try turning off? hasIaps: Allows IAPs to be made (?) off is defaulted. g_is_free_version: Makes the game act like a free version? timeMachineServer: What server is used (for time)? dev is defaulted. gameId: Short identifier for the game when clicking ads that log it, defaulted to abc. g_separate_powerup_highscore: Allows powerup based high scores separately to be kept along with plain gameplay scores in a highscores.lua, false is defaulted. applyLocalisation: Applies a predetermined localisation. isHDVersion: Makes the game act like a IOS HD build, maybe shows HD sprites and textures if on? If developer cheats are on, these can be used during gameplay. F = Show/hide FPS display, showFps is that setting if using the Debug Console to enable. Shift-D = Show/hide Debug Console, possible to edit in-game flags and values for a session by using it, the same way for loading it on mobile releases (Right corner multi click) is also a method to load on the PC version. C = Makes the game act like the level is complete, the same way for loading it on mobile releases (Left corner multi click) is also a method to load on the PC version. Backspace-Q/W/E/R/T/Y/U = Crashes the game, attempts to call powerups while PC version doesn't enable them. S = Toggle sounds on or off. Ctrl-F5 = Attempts to create layout of screen, crashes due to unexisting. In the current Angry Birds versions, scripts alone is only present, on PC and old versions, scripts and scripts_common are present, certain DRM files are only present on the PC version of the game, but are mentioned in current versions, LZMA packing is used after 6.0.1 but the PC version maintained 7z encryption for containing assets, WAVs, OGGs and MP3's are only supported. Icons for achievements in iOS versions. It also has a sprite for an in-game dialog box, which was used for completing achievements in Angry Birds Trilogy. This image is located in \data\fonts\1024x768\FONT_MENU_IPAD.png. It is used to show the current level's number when the game is paused. These files are for the Mattel Apptivity King Pig toy, which can be used to unlock special content in the iPad version. The King Pig sprites are used for level successes and failures. This content is now unlockable as of version 2.2.0. These are some files from the toy's splash screen. 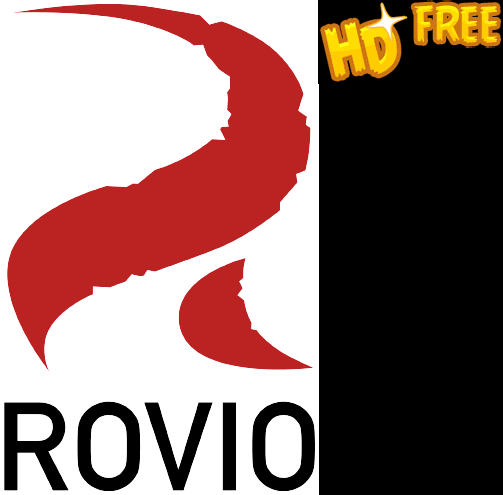 This image contains the used Rovio logo, and the words HD and Free. There is no Free version of Angry Birds for the PC (the unlicensed version does not use "Free"). This button links to Toons.TV in the mobile versions. It never came to PC. Angry Birds • Epic • Stella • Transformers • 2 • Go! This page was last modified on 12 April 2019, at 12:13.